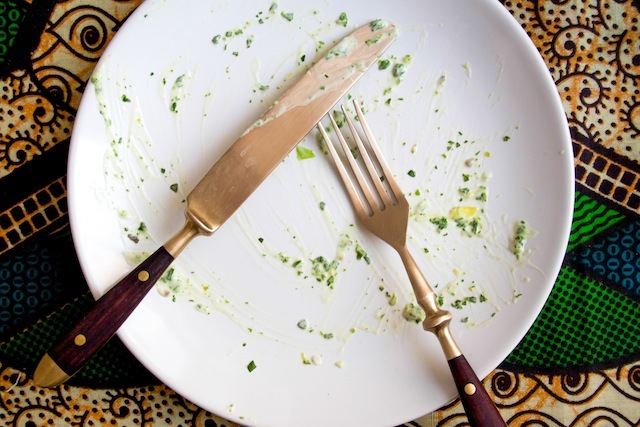 Springtime Deities: Green Goddess Dressing – Eat Me. Drink Me. Today is a happy-Joni Mitchell kind of day. There’s another kind of Joni Mitchell day which is rather introspective, but this isn’t that kind of day at all. It’s the kind of day where you open all the windows and belt out, “Oh Carey get out your cane / And I’ll put on some silver. / Oh you’re a mean old Daddy / But I like you fine.” The neighbors are probably listening to you, and that’s ok. The persistent reminder of spring is everywhere in the city. The tree in our inner courtyard is flush with green. There’s a pretty, yellow flower (whose name I just spent 15 minutes trying to find on the internet, to no avail) sitting on my kitchen table. 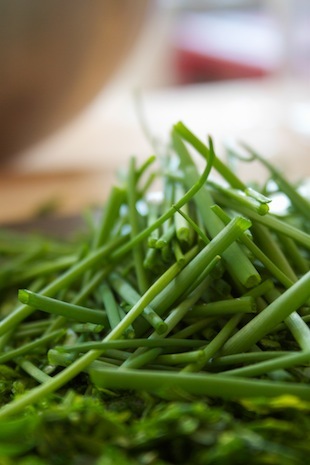 Every market stall is plump with fresh herbs and the vegetables are starting to taste like themselves again. I fell in love with a basket of cherry tomatoes this morning and ate every single one. 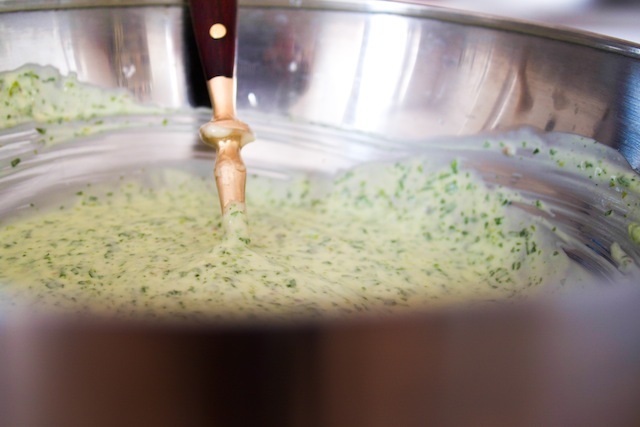 It’s the kind of day to make green goddess dressing. 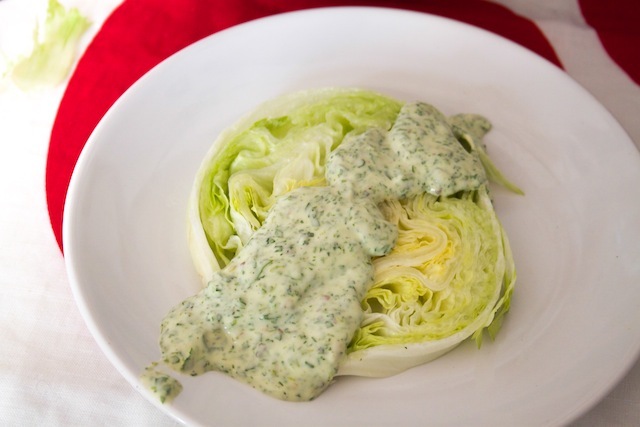 Like so many lovely things, green goddess dressing is a relic from another era. According to the internet (that lovely little thing from this era), it was invented in the 1920’s at the Palace Hotel in San Francisco in honor of George Arliss, star of the hit play The Green Goddess. In the 20’s, the girls were fast and loose and the men were dandies, hotels were hotbeds of inventions, and there were hit plays that didn’t have an accompanying musical score by Andrew Lloyd Webber. What a decade. But spring is a time of rebirth, so on happy-Joni Mitchell days, relics live again. As its name implies, the goddess is green, green, green. 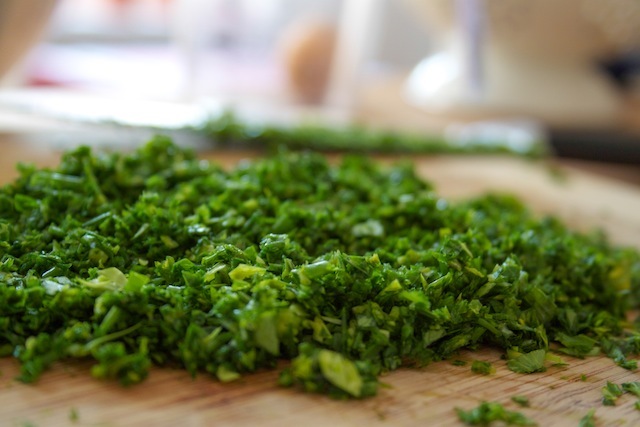 Chopped fresh herbs like parsley, tarragon, and chives release verdant perfume. 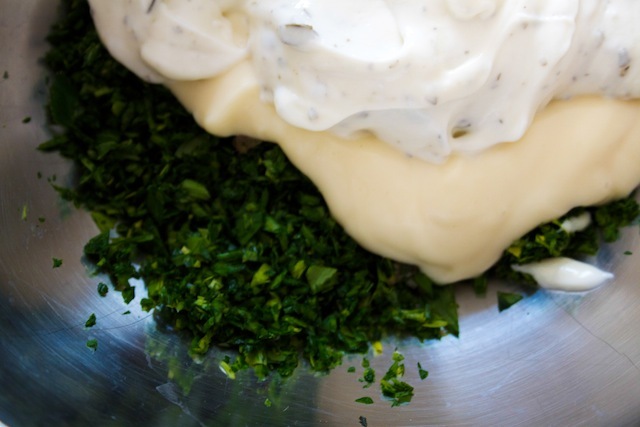 They’re mashed with garlic and anchovy, lightened with the tang of lemon juice and the bite of salt, then whisked smooth with mayonnaise and sour cream. 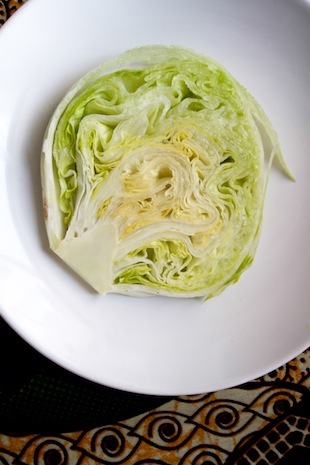 It’s served on a slice of iceberg lettuce, a relic green itself. I’ve never cared for iceberg particularly, but on a day like today, I think I understand its appeal. 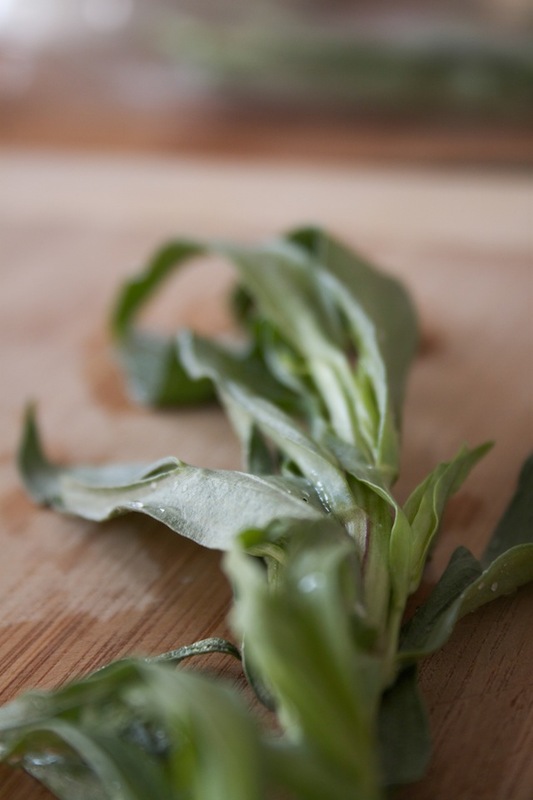 A thin slice of iceberg, the leaves curling in on themselves is like the cross-section of a beautiful brain. 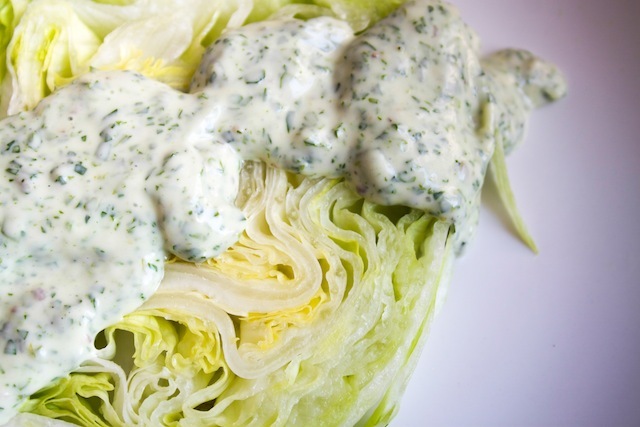 Ice cold and pale, each bite is present and crisp, the perfect bed for soft, silky green goddess dressing. I’m feeling euphoric, can you tell? It’s the Joni, it’s the open windows. It’s the springtime. It’s all this heavenly green. This makes enough dressing for four portions. Serve on iceberg slices or wedges, and top optionally with grilled shrimp, cherry tomatoes, or diced red onion. 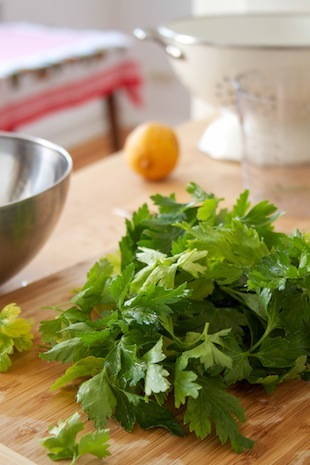 Finely chop parsley, tarragon, and chives and place in a medium-sized mixing bowl. 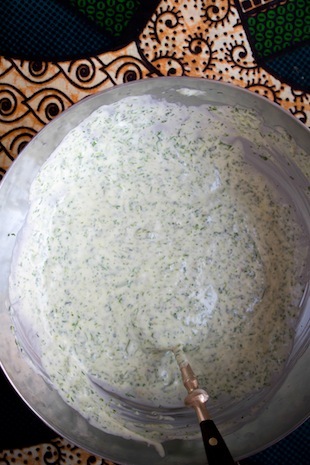 Mash anchovy filets and garlic clove into a paste and add to the herbs. Add mayonnaise, sour cream, lemon juice, salt, and pepper. Season with extra salt and lemon juice if desired. 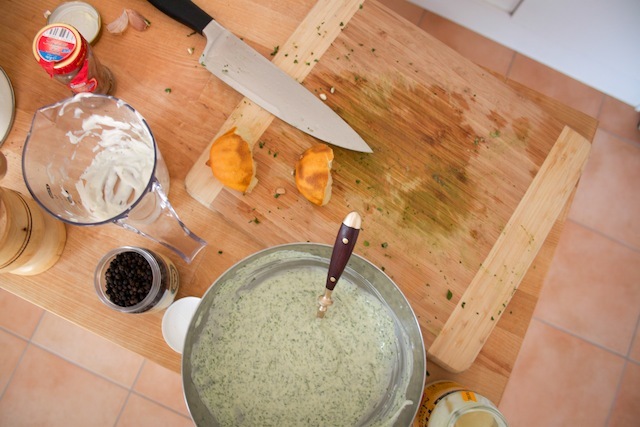 Alternatively, throw everything into a food processor and whip it up. Your happy day made for a happy reading. 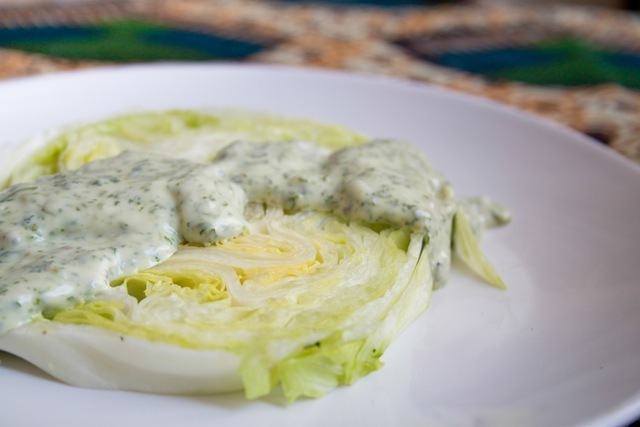 I haven’t had Green Goddess Dressing in a long time, now I am longing for some. ummm.